Wharton Studio Museum is pleased to announce it’s 2nd Silents Roar! Film Festival! Wharton Studio Museum’s 2nd Silents Roar! Film Festival for Southern Tier youth ages 13-18, takes place Saturday, April 21, 2019 from 6pm-8pm at the Roy H. Park Auditorium at Ithaca College! The festival is free and open to the public and all are welcome! Registration is still open — until March 15, 2019 — to enter this silent short-film festival. You must REGISTER now to submit your film entry in April. Register at silentsroarfilmfestival.wordpress.com. Silents Roar! Film Festival is produced in collaboration with Okumu Productions and Seneca Film Festival, in association with IC’s Roy H. Park School of Communications. The festival first premiered in 2017 at Cinemapolis in downtown Ithaca. 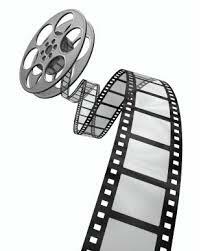 Entrants will produce a black & white silent film, no longer than 3-minutes in length. No previous filmmaking experience is necessary! A Screening and Awards Ceremony celebrating all entrants will be held Saturday, April 20th, 2019 at the Roy H. Park Auditorium at Ithaca College. All submitted films will be reviewed by a jury panel consisting of film and media professors from Ithaca College. Prizes will be awarded! The first prize winner will have their film screened at the Seneca Film Festival in the fall of 2019. Hope to see you at Ithaca College on Saturday, April 21, 2019! Ithaca College is a private, nonsectarian, liberal arts college in Ithaca, New York. The college was founded by William Egbert in 1892 as a conservatory of music and is set against the backdrop of the city of Ithaca, Cayuga Lake, waterfalls, and gorges. Register for Event: Wharton Studio Museum is pleased to announce it’s 2nd Silents Roar! Film Festival! Your ticket for the: Wharton Studio Museum is pleased to announce it’s 2nd Silents Roar! Film Festival!